At Bauma 2019 we will show the latest version of the ECOCLEAR. Since the launch of the Ecoclear two years ago we have collected a lot of data and experience from worksites around the world. 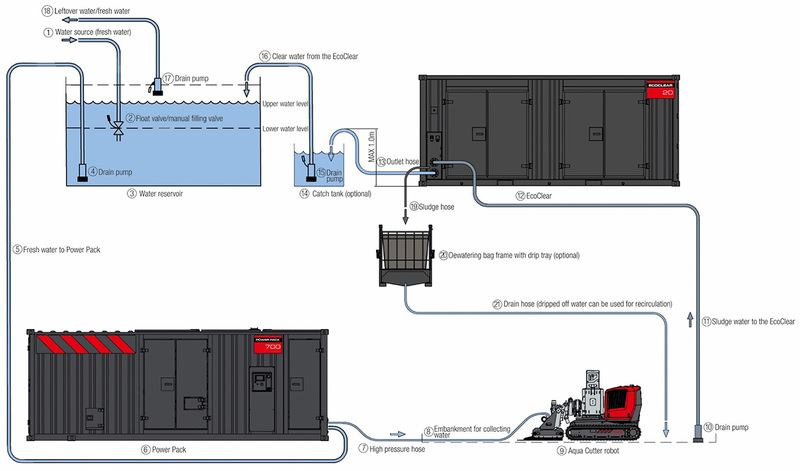 We proudly present our solution of recycling the Hydrodemolition water back to the Power Pack. We call it Recirculution. By adding a water reservoir or a “catch tank” you can keep control over the water temperature and use the water over and over again. 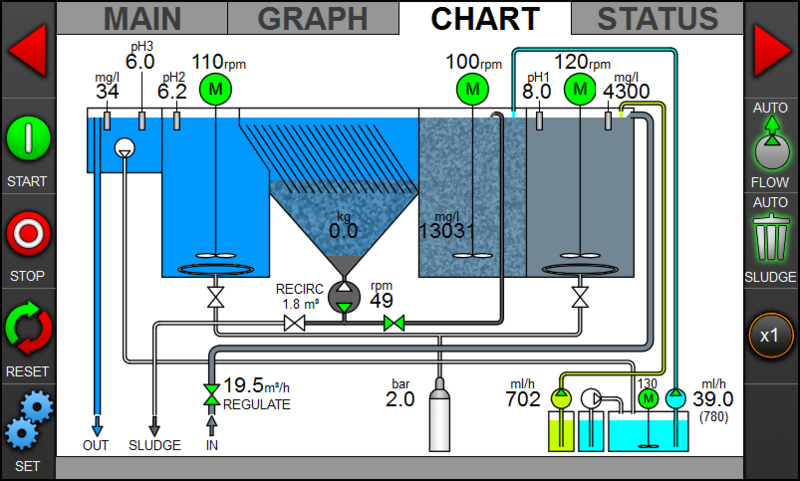 The brain of the Ecoclear is the control system, RECO. 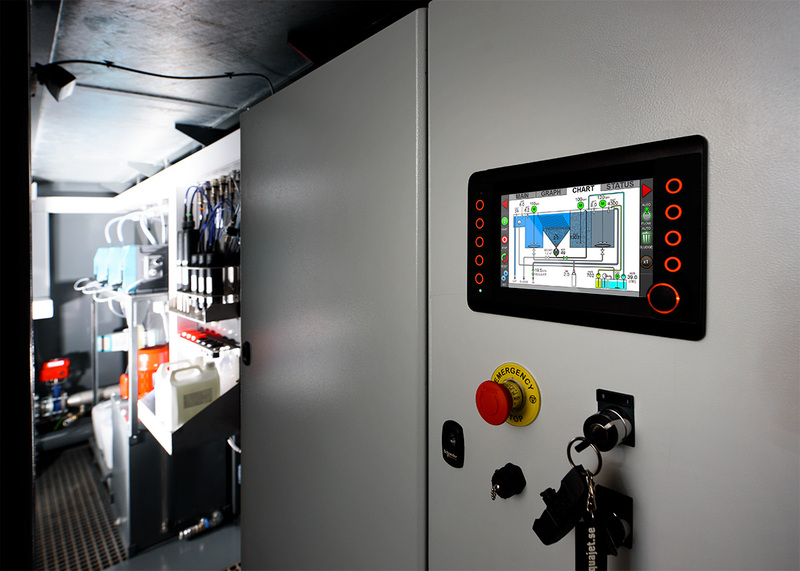 We have continuously developed new algorithms that controls the clarifying of the water. 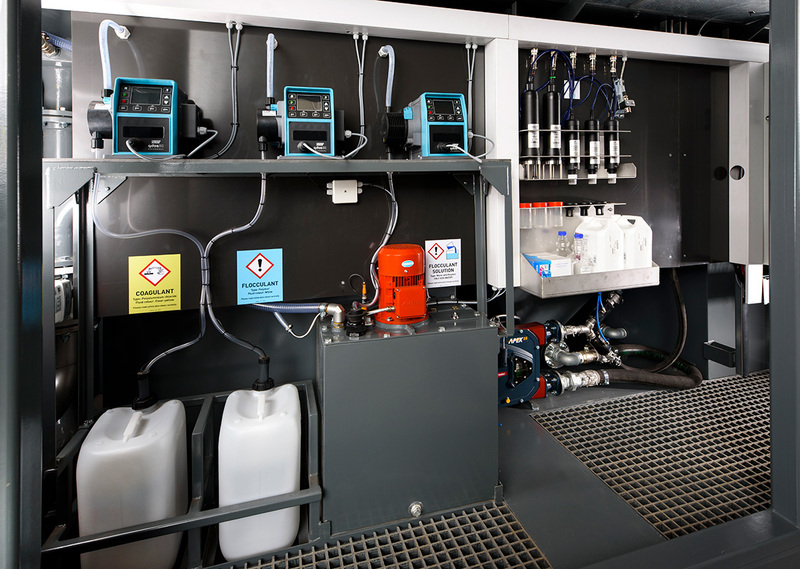 Automatic dosing adds the exact amount of chemicals needed to threat the sludge water. 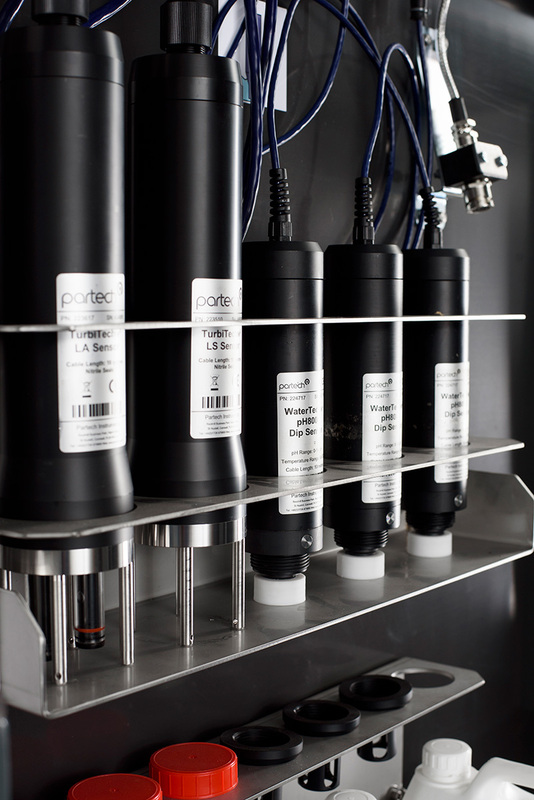 Precise flow detection even at low flow rates. 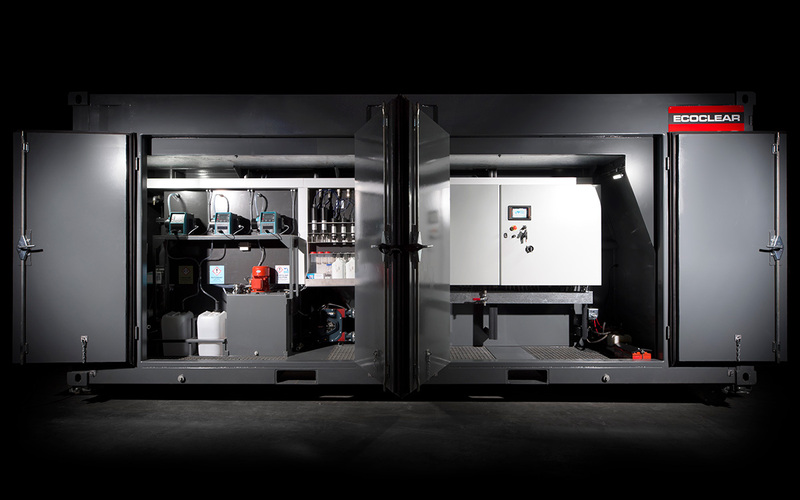 Automatic sludge control drains the separated thick sludge from the unit. Frost protection functions to make it easier to store the unit in cold environment. Self cleaning sensors maximizes the performance of the sensors. As with the Power Pack we think it is important that everything is organized and that you can be sure that all you need to run the product is with you in the container out to the worksite. All parts have their dedicated places and brackets during transportation and storing of the unit.